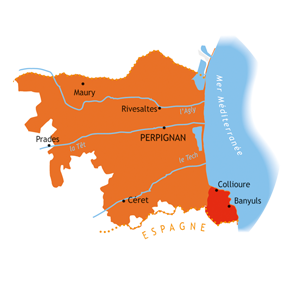 Roussillon was incorporated into France as a province in 1659 and became the department of the Pyrenees-Orientales (prefecture Perpignan) in 1790. The sea and the mountains come together in this region… Roussillon is a small area with an extremely varied landscape and a sunny, hot climate that favours vine growing. Shaped like an amphitheater, it is open to the Mediterranean Sea to the East and surrounded by three massifs: the Corbières to the North, the Pyrenees with the Mont Canigou to the West and the Albères to the South. Three rivers, the Agly, the Têt and the Tech, define the topography of the region. 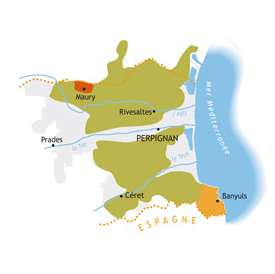 Between these rivers and mountains, each terroir has its own characteristics. 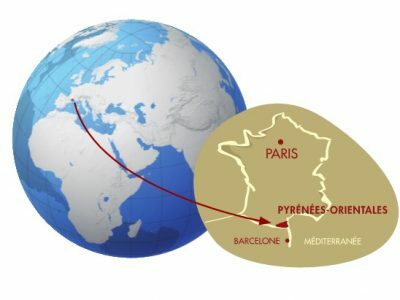 The Pyrenees Orientales are ranked 9th among the French Departments in terms of production, which represents 2% of the national production in volume. 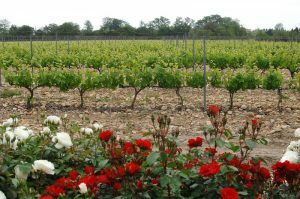 They produce at least 80% of AOP certified French Vins Doux Naturels (Fortied Sweet Wines). Roussillon produces dry still wines and Vins Doux Naturels (Fortied Sweet Wines). 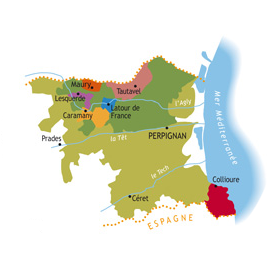 With 14 AOP certified wines, stemming from 23 different grape varieties, and with its characteristic patchwork of terroirs, Roussillon offers a diverse range of wines with distinctive qualities. Dry, hot summers, mild autumns and winters. 2, 530 hours of sunlight, on average (≈316 days/year). 500 to 600 mm of water per year (in less than 100 days! ), especially in autumn. Much of the water falls during thunderstorms and is lost through runoff. 1 day out of 3, the wine-growing region is swept by 7 different types of wind, including the well-known Tramontane and the Marinade. Roussillon is France’s most committed region in terms of organic viticulture and biodynamic practices. Rivesaltes’ Cazes winery, for instance, is the largest Certified winery in all of France.